Is the Pregnancy RDA for Vitamin A Adequate? Human life begins, biologically speaking, at conception. This is the moment at which the new organism possesses its own unique combination of some 20,000 genes and the moment at which it becomes capable of growth and cell division. The days and weeks following conception form a critical window within which the nutritional environment of the womb sets the tempo for fetal growth. But nothing more clearly illustrates the continuity between the new life within the womb and the adult he or she will become than the fact that the quality of nutrition during these nine months produces lifelong effects on the brain, kidneys, and the cardiovascular system; determines the risk of degenerative disease; and profoundly influences the quality of life that persists through adulthood and into old age. During ovulation, an egg is released from the ovary and moves into a tube called the oviduct. At conception, the sperm and egg combine within the oviduct to form a zygote. The genes from each parent combine into pairs and the zygote possesses a new, unique genome that every cell into which it divides will inherit. Over the course of the first seven days, the zygote divides into a hollow ball of cells as it moves through the oviduct toward the uterus. By the seventh day, it becomes embedded in the uterine wall. At this point it is called an embryo. The heart of the embryo heart by day 23; its brainwaves can be recorded at day 40; in the seventh week it begins sucking, touching its face, hiccupping, frowning and making various other spontaneous movements. None of this growth and development can take place without nutrients. Fats and carbohydrates fuel the growth. Fats and cholesterol form cell membranes. Amino acids form structural proteins and enzymes. Vitamins and minerals act as cofactors for those enzymes or as regulators of the entire process of growth. These nutrients are uniquely supplied by the mother’s diet. The provision of special pregnancy and preconception diets to mothers-to-be was a universal characteristic of the healthy traditional groups studied by Weston Price. In some cases, these groups provided special preconception foods to fathers-to-be as well. All groups that had access to the sea used fish eggs; milk-drinking groups used high-quality dairy from the season when grass was green and rapidly growing. Some groups used other foods such as moose thyroids or spider crabs, and African groups whose water was low in iodine used the ashes of certain plant foods to supply this element.5 These foods were added against the backdrop of a diet rich in liver and other organ meats, bones and skin, fats, seafood and the local plant foods. The Maasai only allowed men and women to marry after spending several months consuming milk from the wet season when the grass was especially lush and the milk much denser in nutrients. Maasai milk is higher in fat and cholesterol and lower in sugar than commercial American milk. The highest quality Maasai milk used for preconception diets, however, is even richer: compared to commercial American milk, it has over twice the cholesterol, nearly three times the fat, and over five times the quantity of phospholipids (see Figure 2).7 The phospholipid content is particularly important. Since most of the choline in milk is contained in phospholipids,8 this means that high-quality Maasai milk is probably about five times richer in choline than the milk you would find in the grocery store. Compared to grain-fed milk, grass-fed milk is much higher in fat-soluble vitamins, pigments, conjugated linoleic acid (CLA) and omega-3 fatty acids.9 Price showed that the content of vitamin A, activator X (which we now believe to be vitamin K2), and essential fatty acids markedly increased in butterfat during the rainy lush season.10 As the quality of grass increases, we can presume that the content of other grass-related nutrients—such as pigments, vitamin E and CLA—will also markedly increase in the milk. Although modern science still has much research to accomplish in order to fully elucidate the value of traditional wisdom, it has already confirmed the fact that many of the nutritional factors that we now recognize as the most important to healthy embryonic and fetal development are the same ones emphasized in traditional pregnancy and preconception diets. Vegetable oils are high in vitamin E, but they are also high in polyunsaturated fatty acids (PUFA), which deplete the body of this nutrient.12 Palm oil is a much better source, having a vitamin Eto- PUFA ratio that is 8 times higher than that of soybean oil and 13 times higher than that of safflower oil.13 The vitamin E content of grass-fed animal fats is four times higher than that of grain-fed animal fats.14 Nuts, seeds, fresh fruits and vegetables and freshly ground grains also contain vitamin E.
We now know that vitamin A is necessary for the differentiation and patterning of all of the cells, tissues, and organs within the developing body. It is especially important for the development of the communication systems between the sense organs and the brain.16,17 Even mild vitamin A deficiency compromises the number of functional units called nephrons in the kidneys, which could predispose a person to poor kidney function later in life.18 Vitamin A is also necessary during fetal development and through adult life to maintain the presence of cells lining the lungs that are covered in hair-like projections called cilia.19 These hairs sweep away debris and foreign material, protecting the lungs from pollutants and infectious diseases. During and after the formation of all these systems, vitamin A is necessary for their continued growth. The RDA of vitamin A for pregnant women is 2,600 IU—just 300 IU more than the RDA for women who are not pregnant. There are several problems with this figure, described in the sidebar below. We do not have exact figures for the vitamin A content of the preconception and pregnancy diets used by the groups that Price studied, but they were certainly higher than 2,600 IU per day. These groups prized organ meats, especially liver, and used them on a regular basis. Preconception and pregnancy diets added additional foods rich in fat-soluble vitamins. The Weston A. Price Foundation recommends 20,000 IU per day from cod liver oil and additional vitamin A from milk, butter, eggs, and three to eight ounces of liver per week. Yet the medical profession warns pregnant women that this quantity of vitamin A increases the risk of birth defects. This belief can be traced to a single study published in 1995 that purportedly found an increase in the risk of birth defects among mothers consuming more than 10,000 IU per day. As discussed in the sidebar below, there are several important flaws in this study. Every other published study on this subject shows this amount of vitamin A to be safe—indeed, one major study of over 25,000 births showed that daily doses of vitamin A up to 40,000 IU cut the risk of birth defects in half. Considering the ubiquitous role of vitamin A in the development of every organ system of the body and how tightly the body regulates the level of the activated form, we should expect a generous helping of vitamin A-rich organs and animal fats to help perfect fetal development, not to throw it off course. The preponderance of the evidence suggests that this is the case. In the second part of this statement, the Academy directed mothers to keep their infants out of the sun, dress them in protective clothing, and liberally cover them in sunblock. In the last part of the statement, it emphasized that breast milk is deficient in vitamin D—making no mention of the fact that the low intake of vitamin D during pregnancy and lactation that it advocates and the practice of keeping infants out of the sun are the precise factors responsible for low vitamin D levels in breast milk and infant vitamin D deficiency. Compared to vitamins A and D, very little is known about the role of vitamin K in embryonic and fetal development. The enzyme that uses it to activate vitamin K-dependent proteins first shows up in the skeletal and nervous tissue of the embryo.36 Two vitamin K-dependent proteins, bone Gla protein and matrix Gla protein, are present in the first trimester.37 These proteins help lay down calcium salts in bone tissue and keep calcium out of the soft tissues where it does not belong. This tragic case of severe deficiency illustrates the essential role of K vitamins in the development of proper facial proportions and the much more important and fundamental development of the nervous system. The fetus, infant and adult can all convert the omega-3 fatty acid found in plant oils, alpha- linolenic acid (ALA), into docosohexaenoic acid (DHA)—but the rate of this conversion is no more than one percent at all ages and stages of development. DHA may be necessary for the formation of neurons and for the synthesis of the important brain lipid phosphatidylserine; it is also the precursor to an important compound that protects neurons when they are assaulted by oxidative stress. The fetus hoards DHA from the mother and incorporates it into its brain at ten times the rate at which it can synthesize it.41 DHA can be obtained primarily from cod liver oil and fatty fish and in small amounts from grass-fed animal fats. Biotin is a B vitamin but has also been called “vitamin H.” Researchers have studied its role in pregnancy for decades but only recently have discovered that marginal biotin deficiency during this critical period is the norm. Egg whites contain a glycoprotein called avidin that strongly binds to biotin and prevents its absorption. Cooking neutralizes avidin, but not completely. Frying destroys 67 percent, boiling the egg white directly for two minutes destroys 60 percent, and poaching only destroys 29 percent.49 Raw egg whites, then, should be strictly avoided, and cooked egg whites should be consumed in moderation—and never without the yolk. The addition of pure egg yolks to smoothies and ice cream will help boost biotin status. The pregnancy RDA for folate is 600 micrograms (mcg) per day. This figure is based on the amount needed to prevent the folate concentration of the mother’s red blood cells from dropping during pregnancy and on urinary markers indicating the amount of folate being used.51 It assumes that only half of the vitamin is absorbed from food, although this figure is just an average; the rate of folate absorption is dependent on zinc status. Synthetic “folic acid” is a chemical that is not normally found in foods or the human body. It can be converted into usable forms of folate, but this conversion is limited to about 200 mcg per single dose in healthy volunteers;52 it may be even more limited during long-term exposure or in certain people. Synthetic “folic acid” does not cross the placenta; folate crosses the placenta as the naturally occurring 5-methyl-tetrahydrofolate.50 Since the synthetic supplements do prevent neural tube defects, pregnant women should use them if they are not going to eat folate-rich diets; whenever possible, however, it is best to meet the folate requirement from foods. Folate-rich foods include liver, legumes, and greens (see Figure 5 and Figure 7). The RDA for non-pregnant women is 425 milligrams (mg) per day. The RDA for pregnant women is 450 mg per day, only 25 mg more. The increase is based on the typical transfer of choline to and accumulation in the fetus.54 Rat studies, however, suggest that an amount two to three times this may provide the offspring with lasting benefits. Choline can be obtained from liver, egg yolks, and high-quality grass-fed dairy; it can be obtained to a lesser extent from meats, crucifers, nuts, and legumes (see Figure 6 and Figure 7). Glycine is depleted in the detoxification of excess methionine, another amino acid. Eggs and meat are the main sources of methionine—it not only constitutes a greater percentage of their total protein but these foods are also higher in total protein than plant foods (see Figure 9).56 It is important, therefore, for the expectant mother to liberally match her eggs and muscle meats with glycine-rich skin and bones and folate-rich liver, legumes and greens. The scientific community is showing increasing interest in what is called the “developmental origins theory.” This theory postulates that the nutritional environment in the womb affects not only the risk of defects immediately apparent at birth, but also the lifelong risk of degenerative disease. The ideal birth weight according to these studies appears to be between 8.5 and 9.5 pounds. These figures exclude infants whose birth weights are low because of premature delivery; it is the rate of fetal growth, not the birth weight itself, that counts.59 The theory does not suggest that the risk of disease is affected only by the rate of growth within the womb—simply that the nutritional environment during this period makes an incomplete yet permanent contribution to that risk. Genetics has little if anything to do with birth weight. A 1995 study examined 62 cases of egg donor pregnancies. The birth weight of the baby was not correlated with the donor’s weight, the donor’s birth weight, or the birth weights of the donor’s other children; it was, however, correlated with the recipient’s weight.61 This study shows that birth weight is determined by the environment that the womb provides rather than the genome present at conception. An intake of meat protein below 25 grams per day during late pregnancy and an intake of carbohydrate above 265 grams per day during early pregnancy are associated with a decrease in birth weight. A low intake of animal protein relative to carbohydrate is also associated with an increase of blood pressure at forty years of age.62 In order to obtain adequate glycine for growth, meat and egg protein should be balanced with the liberal use of liver, skin, bone broths, legumes and green vegetables. The use of cod liver oil is independently associated with birth weight.43 Seven out of twelve trials have shown folic acid supplementation to increase birth weight.50 Iron deficiency compromises fetal growth,46 and a major deficiency in any vitamin or mineral is likely to do the same. In general, the role of vitamins and minerals in providing for robust fetal growth is understudied and probably much more important than the scarcity of the available literature would suggest. Although the quantity of growth is a useful marker for the risk of disease, the determining factor is the quality of growth. Choline may confer remarkable benefits to the developing nervous system without having much of an impact on head circumference, and vitamin A may provide for robust kidney function without having much of an impact on the size of the waist or torso. We must take the same care in preparing the human womb for the seed of life to be planted therein that we take to prepare the womb of the earth for the seeds of the plant life from which we and our animals will take nourishment. A generous intake of all nutrients—especially the fat-soluble vitamins, essential fatty acids, biotin, folate, choline and glycine—will supply the soil of the womb with everything the life developing within it needs for robust and vigorous growth and a long, healthy life to come. * This figure assumes that Maasai milk during the wet season is five times higher in choline than commercial American milk, as discussed above. Any combination of three meals and one snack and most combinations of three meals will exceed the pregnancy RDA for both nutrients. Folate from raw milk is accompanied by a protein that doubles its absorption. Absorption of folate from food in general is dependent on zinc status. High-quality grass-fed milk may be three to five times richer in choline. Glycine is found primarily in skin and bones. Animal products have a higher percentage of their total protein as methionine than plant products. Although not shown in the chart, they also contain much more protein per unit of weight or volume. The main sources of methionine in the diet, then, are eggs and muscle meats. There are several problems with this calculation. Since the fetuses were aborted, we have no idea what their future health would have been like—their visual acuity, their hearing, their intelligence, their facial and dental features, their reproductive health, or their length of life. And the function of vitamin A, of course, is not to be stored but to be used. The fetus does not simply hold on to vitamin A to use it after birth, but rapidly uses and metabolizes it to regulate the entirety of its growth and development. Granted, the IOM acknowledges that it has only used this data because better data do not exist—yet it is important to emphasize just how little the data tell us. The claim that intakes of vitamin A over 10,000 IU per day can increase the risk of birth defects can be traced back to a 1995 paper published by a group of researchers led by Dr. Kenneth Rothman of Boston University.21 The researchers followed almost 23,000 women over the course of their pregnancies and found that women who consumed more than 10,000 IU of vitamin A during the first trimester gave birth to offspring with a 2.4-fold greater risk of total birth defects and a 4.8-fold greater risk of cranial-neural-crest defects (a rather broad group of defects whose classification is controversial). Among the 188 women who consumed this amount of vitamin A from “food” alone, there was an 80 percent increase in the risk of total birth defects and two times the risk of cranial-neural-crest defects. Because there were so few women consuming vitamin A from “food” alone, however, the researchers could not conclusively distinguish the association from the effect of chance. A 1999 prospective study of 311 mothers who consumed between 10,000 and 300,000 IU of vitamin A in the first trimester and a similarly sized group that did not supplement with vitamin A found no evidence of an increased risk of major malformations with increasing dose. The median dose was 50,000 IU. The group as a whole had a 50 percent lower risk of major malformations than those who did not supplement, and there were no major malformations in offspring born to mothers consuming more than 50,000 IU. Just as Weston Price had associated the skeletal defects that occur because of poor prenatal nutrition with the risk of disease in childhood and adolescence, researchers are now associating the defects of the internal organs that occur due to poor nourishment with the risk of disease in adulthood and old age. 2. “Milestones of Early Life,” http://www.abortionfacts.com/literature/literature_9438MS.asp. Accessed November 16, 2007. 6. NutritionData (ND): Nutrition Facts & Calorie Counter. “Nutrition Facts and Analysis for Fish, caviar, black and red, granular,” http://www.nutritiondata.com/facts-C00001-01c2138.html. Accessed November 16, 2007. 7. Ho K-J, Biss K, Mikkelson B, Lewis LA, Taylor CB. The Masai of East Africa: Some Unique Biological Characteristics. Arch Path. 1971;91:387-410. 8. Zeisel SH, Mar M-H, Howe JC, Holden JM. Concentration of Choline-Containing Compounds and Betaine in Common Foods. J Nutr. 2003;133:1302-1307. 9. EatWild, “Grassfarming and Human Health,” http://www.eatwild.com/references.html. Accessed November 17, 2007. 10. Price, op cit., p. 435. 11. Pfluger P, Kluth D, Landes N, Bumke-Vogt C, Brigelius- Flohe R. Vitamin E: underestimated as an antioxidant. Redox Rep. 2004;9(5):249-54. 12. Harvey RA and Champe PC, eds., Biochemistry: 3rd Edition, Baltimore: Lippincott Williams and Wilkins (2005) p. 389. 13. Enig MG. Know Your Fats: The Complete Primer for Understanding the Nutrition of Fats, Oils, and Cholesterol. Silver Spring, MD: Bethesda Press (2000) pp. 188; 122-3. 14. EatWild, “Nutritional Benefits of Grassfarming,” http://www. eatwild.com/healthbenefits.htm. Accessed November 17, 2007. 15. Price, op cit. pp. 334-349. 16. Luo T, Sakai Y, Wagner E, Dräger UC. Retinoids, eye development, and maturation of visual function. J Neurobiol. 2006;66(7):677- 86. 17. Rawson NE, LaMantia AS. Once and again: retinoic acid signaling in the developing and regenerating olfactory pathway. J Neurobiol. 2006;66(7):653-76. 18. Gilbert T, Vitamin A and kidney development. Nephrol. Dial Transplant. 2002;17:78-80. 19. Biesalski HK, Bohr D. Importance of vitamin-A for lung function and development. Mol Aspects Med. 2003;24:431-440. 20. Panel on Micronutrients, Subcommittees on Upper Reference Levels of Nutrients and of Interpretation and Use of Dietary Reference Intakes, and the Standing Committee on the Scientific Evaluation of Dietary Reference Intakes, Food and Nutrition Board, Institute of Medicine. 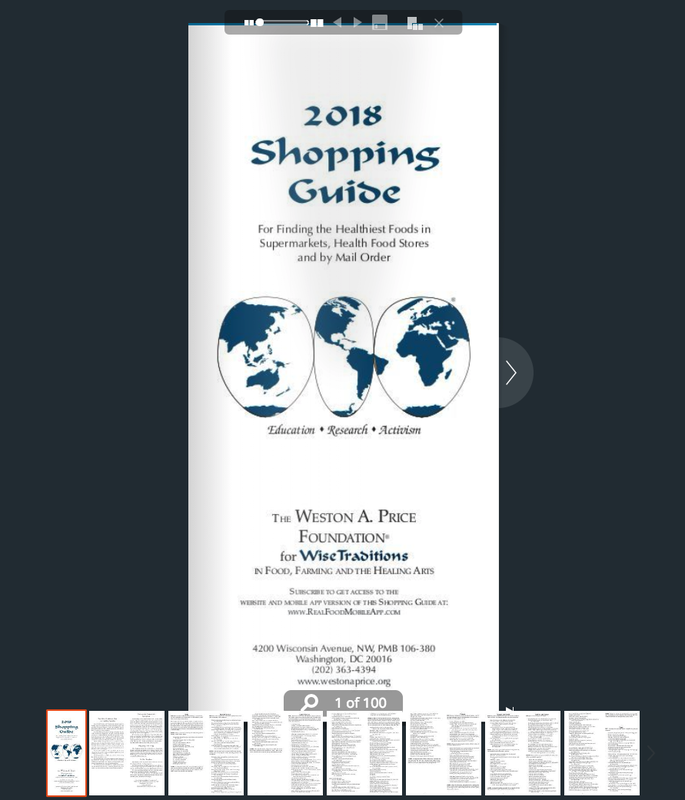 Dietary Reference Intakes for Vitamin A, Vitamin K, Arsenic, Boron, Chromium, Copper, Iodine, Iron, Manganese, Molybdenum, Nickel, Silicon, Vanadium, and Zinc. Washington, DC: National Academy Press (2000) pp. 82-61. 21. Rothman KJ, Moore LL, Singer MR, Nguyen U-SDT, Mannino S, Milunsky A. Teratogenicity of High Vitamin A Intake. J Engl J Med. 1995;333:1369-73. 22. Werler MM, Lammer EJ, Mitchell AA. Teratogenicity of High Vitamin A Intake. N Engl J Med. 1996;334:1195-1196. 23. Brent RL, Hendrickx AG, Holmes LB, Miller RK. Teratogenicity of High Vitamin A Intake. N Engl J Med. 1996;334:1196. 24. Watkins M, Moore C, Mulinare J. Teratogenicity of High Vitamin A Intake. N Engl J Med. 1996;334:1197. 25. Martínez-Frías ML, Salvador J. Epidemiological Aspects of Prenatal Exposure to High Doses of Vitamin A in Spain. Eur J Epidemiol. 1990;6(2):118-123. 26. Shaw GM, Wasserman CR, Block G. High maternal vitamin A intake and risk of anomalies of structures with cranial neural crest cell contribution. Lancet. 1996;347:899-900. 27. Mills JL, Simpson JL, Cunningham GC, Conley MR, Rhoads GG. Am J Obstet Gynecol. 1997;177(1):31-6. 28. American Academy of Pediatrics, Committee on Nutrition. “The prophylactic requirement and the toxicity of vitamin D,” Pediatrics, March 1963; 512-525. 29. Devereux G. Early life events in asthma – diet. Pediatr Pulmonol. 2007;42(8):663-73. 30. Hoogenboezem, T. Degenhart, H. J. De Muinck Keizer-Schrama, et al., “Vitamin D Metabolism in Breast-Fed Infants and their Mothers,” Pediatric Research, 1989; 25: 623-628. 31. Ala-Houhala, M. Koskinen, T. Terho, A. Koivula, T. Visakorpi, J. “Maternal compared with infant vitamin D supplementation,” Archives of Disease in Childhood, 1986; 61: 1159-1163. 32. Bishop, N. “Perinatal Vitamin D Actions.” In Feldman, D. Pike, J.W. Glorieux, F.H. eds., Vitamin D: Second Edition, Burlington: Elsevier Academic Press, 2005; 803-810. 33. Institute of Medicine, Food and Nutrition Board, Standing Committee on the Scientific Evaluation of Dietary Reference Intakes. “Vitamin D.” In: Dietary Reference Intakes for Calcium, Phosphorus, Magnesium, Vitamin D, and Fluoride, Washington, DC: National Academy Press, 1997; 250-287. 34. Howe AM, Lipson AH, de Silva M, Ouvrier R, Webster WS. Severe Cervical Dysplasia and Nasal Cartilage Calcification Following Prenatal Warfarin Exposure. Am J Med Genet. 1997;71:391-396. 35. Hypponen, E. Laara, E. Reunanen, A. Jarvelin, M. R. Virtanen, S. M. “Intake of vitamin D and risk of type 1 diabetes: a birth-cohort study,” The Lancet, 2001; 358: 1500-03. 36. Berkner KL. The Vitamin K-Dependent Carboxylase. Annu Rev Nutr. 2005; 25: 127-49. 37. Howe AM, Lipson AH, de Silva M, Ouvrier R, Webster WS. Severe cervical dysplasia and nasal cartilage calcification following prenatal warfarin exposure. Am J Med Genet. 1997;71(4):391-6. 38. Iioka H, Akada S, Hisanaga H, Shimamoto T, Yamada Y, Moriyama IS, Ichijo M. A study on the placental transport mechanism of vitamin K2 (MK-4). Asia Oceania. J Obstet Gynaecol. 1992;18(1):49-55. 39. Iioka H, Moriyama IS, Mormoto K, Akada S, Hisanaga H, Ishihara Y, Ichijo M. Pharmacokinetics of vitamin K in mothers and children in the perinatal period: transplacental transport of vitamin K2 (MK-4). Asia Oceania J Obstet Gynaecol. 1991;17(1):97-100. 40. Masterjohn C. On the Trail of the Elusive X Factor: A Sixty-Two-Year-Old Mystery Finally Solved. Wise Traditions. 2007; Spring:14-32. 41. Innis SM. Dietary (n-3) Fatty Acids and Brain Development. J Nutr. 2007;137:855-859. 42. Joshi S, Rao S, Girigosavi S, Daware M, Kale A, Hegde M. Differential effects of fish oil and folic acid supplementation during pregnancy in rats on cognitive performance and serum glucose in their offspring. Nutrition. 2004;20(5):465-72. 43. Olafsdottir AS, Magnusardottir AR, Thorgeirsdottir H, Hauksson A, Skuladottir GV, Steingrimsdottir L. Relationship between dietary intake of cod liver oil in early pregnancy and birthweight. BJOG. 2005;112(4):424-9. 44. Helland IB, Smith L, Saarem K, Saugstad OD, Drevon CA. Maternal supplementation with verylong- chain n-3 fatty acids during pregnancy and lactation augments children’s IQ at 4 years of age. Pediatrics. 2003;111(1):e39-44. 45. Stene LC, Ulriksen J, Magnus P, Joner G. Use of cod liver oil during pregnancy associated with lower risk of Type I diabetes in the offspring. Diabetologia. 2000;43(9):1093-8. 46. Sparks JW, Cetin L. Determinants of Fetal Growth. In: Thureen PJ, Hay WW, eds. Neonatal Nutrition and Metabolism: Second Edition. Cambridge, MA: Cambridge University Press (2006) p. 26. 47. Mock DM. Marginal biotin deficiency is teratogenic in mice and perhaps humans: a review of biotin deficiency during human pregnancy and effects of biotin deficiency on gene expression and enzyme activities in mouse dam and fetus. J Nutr Biochem. 2005;16(7):435-7. 48. Linus Pauling Institute Micronutrient Information Center. “Biotin.” http://lpi.oregonstate.edu/infocenter/ vitamins/biotin. Accessed November 20, 2007. 49. Durance TD. Residual Avidin Activity in Cooked Egg White Assayed with Improved Sensitivity. J Food Sci. 1991;56(3):707-709. 50. Tamura T, Picciano MF. Folate and human reproduction. Am J Clin Nutr. 2006;83(5):993-1016. 51. Standing Committee on the Scientific Evaluation of Dietary Reference Intakes and its Panel on Folate, Other B Vitamins, and Choline and Subcommittee on Upper Reference Levels of Nutrients, Food and Nutrition Board, Institute of Medicine. Dietary Reference Intakes for Thiamin, Riboflavin, Niacin, Vitamin B6, Folate, Vitamin B12, Pantothenic Acid, Biotin, and Choline. Washington, DC: National Academy Press (1998) pp. 196-305. 52. Kelly P, McPartlin J, Goggins M, Weir DG, Scott JM. Am J Clin Nutr. 1997;65(6):1790-5. 53. Zeisel, SH. The fetal origins of memory: the role of dietary choline in optimal brain development. J Pediatr. 2006;149:S131-S136. 54. Standing Committee on the Scientific Evaluation of Dietary Reference Intakes and its Panel on Folate, Other B Vitamins, and Choline and Subcommittee on Upper Reference Levels of Nutrients, Food and Nutrition Board, Institute of Medicine. Dietary Reference Intakes for Thiamin, Riboflavin, Niacin, Vitamin B6, Folate, Vitamin B12, Pantothenic Acid, Biotin, and Choline. Washington, DC: National Academy Press (1998) pp. 399-422. 55. Rees WD, Wilson FA, Maloney CA. 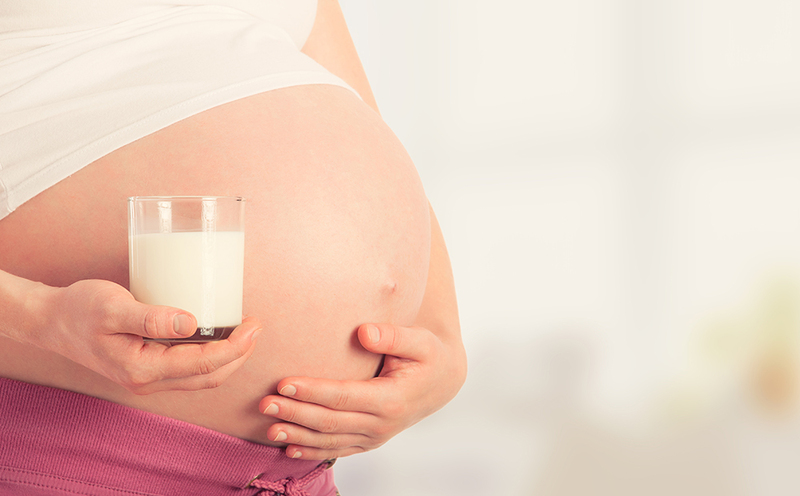 Sulfur amino acid metabolism in pregnancy: the impact of methionine in the maternal diet. J Nutr. 2006;136(6 Suppl):1701S-1705S. 56. http://www.nutritiondata.com. [Corresponding entries for each food.] Accessed November 8, 2007. Glycine content of bone broth calculated by assuming bone protein is 95% collagen and collagen is 33% glycine. 57. Price, op cit. pp. 350-1; 355; 357; 367-71. 58. Barker DJP. The origins of the developmental origins theory. J Intern Med. 2007;261:412-417. 59. Barker DJP. Fetal nutrition and cardiovascular disease in later life. British Medical Bulletin. 1997;53(1):96-108. 60. Symonds ME, Stephenson T, Gardner DS, Budge H. Long-term effects of nutritional programming of the embryo and fetus: mechanisms and critical windows. Reprod Feril Dev. 2007;19:53-63. 61. Brooks AA, Johnson MR< Steer PJ, Pawson ME, Abdalla HI. Birth weight: nature or nurture? Early Human Dev. 1995;42(1):29-35. 62. Godfrey K, Robinson S, Brker DJP, Osmond C, Cox V. Maternal nutrition in early and late pregnancy in relation to placental and fetal growth. BMJ 1996;312:410. 63. Mastroiacovo P, Mazzone T, Addis A, Elephant E, Carlier P, Vial T. High vitamin A intake in early pregnancy and major malformations: a multicenter prospective controlled study. Teratology. 1999;59(1):7-11. This article appeared in Wise Traditions in Food, Farming and the Healing Arts, the quarterly magazine of the Weston A. Price Foundation, Winter 2007. If absorption of folate from food may only be 50% and we wish to obtain our RDA of folic acid from food alone, shouldn’t we be aiming for 1200 micrograms (mcg) per day rather than 600 micrograms? Thanks so much for this excellent article. I’ll bookmark it. It can be hard to remember everything sometimes but this lays it out wonderfully. Should the future father consume a similar diet? Is there anything the he should specifically focus on when getting ready to conceive? Thanks for such great information. I wasn’t clear from the article whether the egg yolk can be eaten raw or not. Would someone please clarify this for me? Egg yolks can, and should be eaten raw. Not that all of the egg yolks you eat should be raw, but some, at least, should be. I recently wrote a blog post about nutrition and pregnancy. I refer to this article. One of my readers is questioning the source of the study of 25,000 IUs of Vitamin A for pregnant women cutting birth defects in half. Can you give me the citation for that so I can pass it on to her? Check reference 25 of this article. I’m hoping you have some info about miscarriage in traditional cultures. My husband & I have been eating a strict clean, nutrient-dense WAPF diet for the past 3+ years, and it still took us 16 cycles to conceive. I recently miscarried at 11 weeks, and the baby was still growing after 10 weeks. We are completely broken now. I’m only 33, so I just can’t determine how this could have happened. I’ve looked everywhere for info about miscarriage among primitive peoples, but turned up nothing. Do you have any reading suggestions or referrals to someone who could help guide us? I’m afraid we might be a human version of Pottenger’s infertile cats. Thank you in advance for your time. Do you think you may be creating antibodies to the fetus? Like if you are Rh- and the fetus is Rh+? There could be other immune issues to look into as well. Yes, google masai and miscarriage. You can do everything right and still have miscarriages. They have miscarriages in the masai. I am so very sorry for your loss. I would suspect severe deficiency of minerals, trace minerals and rare earths. I am shocked there is no mention in any WAPF article about tradition of using ashes in food and only one article mentioning use of ashes in soil or compost. Unless you use ashes of wood, sea vegetation in your soil and with your food, as all healthy cultures past & present have done, and farm on silt rich bottom land or rich glacial soil you will be mineral deficient & no amount of partial supplementation or fat soluble vitamins will wotk. I appreciate your research immensely. Try as I might, I am still influenced by the popular misconceptions regarding vitamin A in pregnancy. I’ve been worried about taking dessicated liver and cod liver oil every day (no other supplements), but I am relieved to see that, if anything, I’m taking less than I should be! Thank you. Why is there no mention of Iron? One way or another, I’m very curious that seems to be missing.